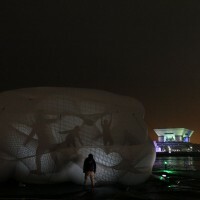 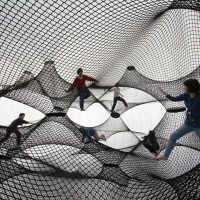 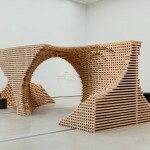 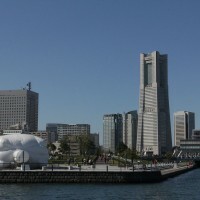 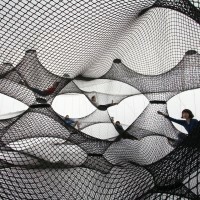 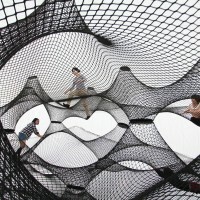 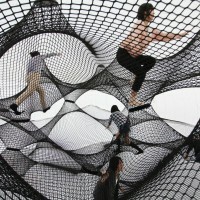 Numen have designed Net Blow-up, a temporary installation in Yokohama, Japan. 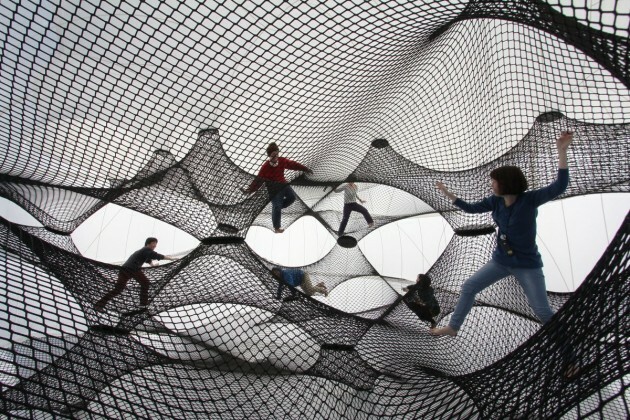 The result is a soft object which deforms and mutates with every movement of its temporary habitants. 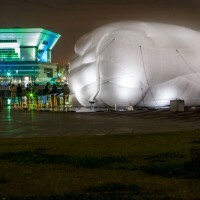 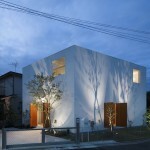 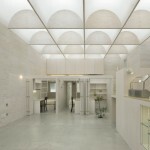 The outer membrane acts both like a “soft box” diffuser of the outside light, or a projection screen in case of inner illumination of the installation.